I hate to do a post about this, but unfortunately it is necessary. I have discovered that someone (who I will not name here) has lifted text from my blog and used it in their own blog post, then called it a "guest post." I'm sure they meant no harm by it, but please realize this is copyright infringement. The person did credit me, but because they used my actual text without asking my permission, it violates copyright laws. I only just discovered this because I follow them on Twitter and clicked on one of their tweets about a new blog post. Imagine my surprise to see my own text incorporated into their post as a "guest post" from me. If you would like to refer to my posts in your own blog, you can create a link to my actual post. If you would like me to write a guest post for your blog, please contact me and I would be more than happy to talk to you about it. But please, whatever you do, don't use my actual text in your post without asking me first. Even if you credit me, it's still copyright infringement. Please respect online authors and our materials. **Note: I previously had my Copyright notice at the bottom of my main page, and I have now moved it up to the top of my sidebar so it is visible to everyone who reads my blog, to avoid any confusion! 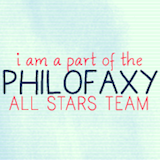 I've now done the same on Philofaxy... moved it to a more obvious place, slightly different wording, but basically the same idea... keep your hands off of our content! oy, since when is a cut and paste a guest post? What's your most treasured planner? Have you chosen your 2012 planner yet? How do you store your planners? My guest post on Imy's World: What's In My Bag!